heyyy. whats up? im whit, aka ah-san. i love to draw anime and such. my fav. 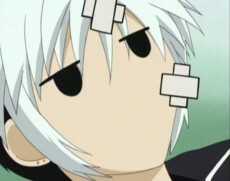 character of all time is hatsuharu from fruits basket, as u can see by my display name and pic ^^'. i like listening to music, drawing, going on myspace, etc. Welcome to FAC, I hope you Enjoy your stay.